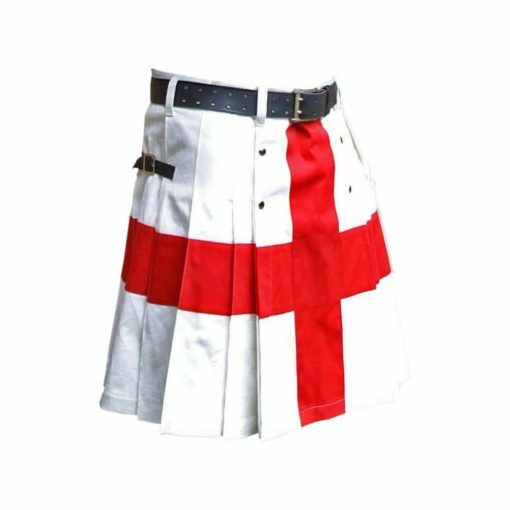 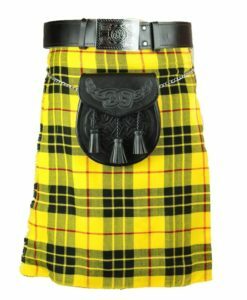 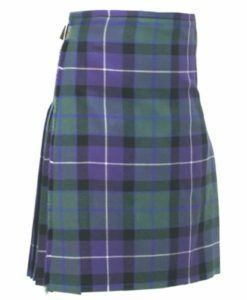 St George’s Cross Kilt is made of England flag pattern using 100% cotton. 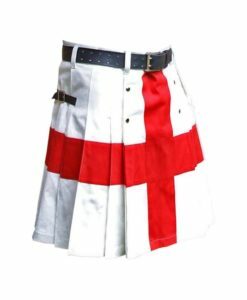 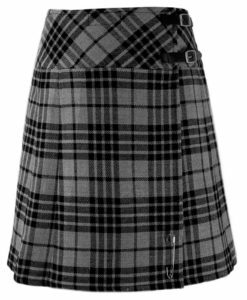 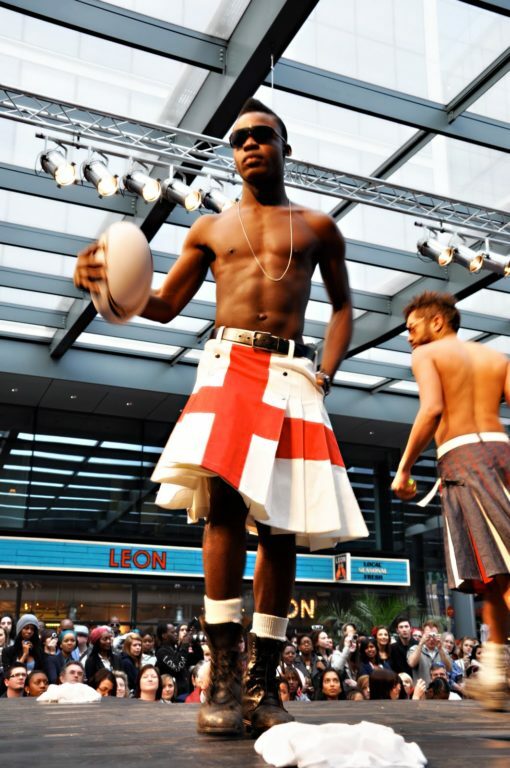 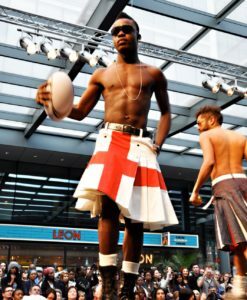 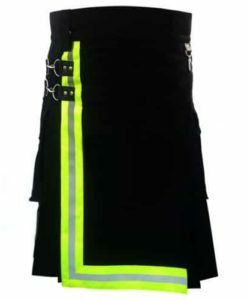 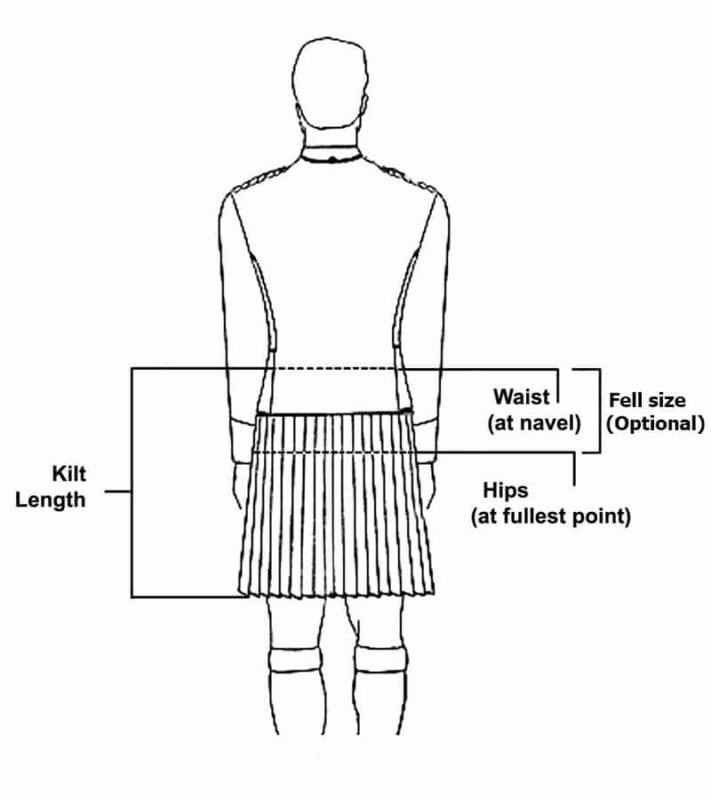 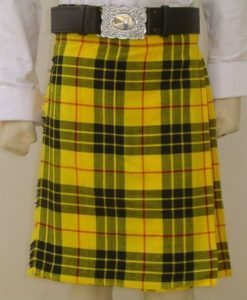 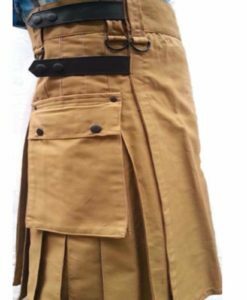 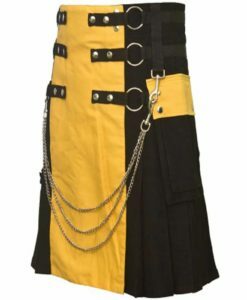 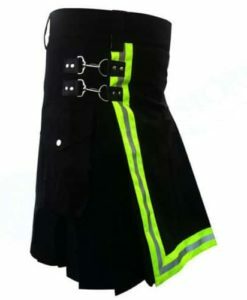 The front of the kilt is studded and there is a cross of England’s flag. 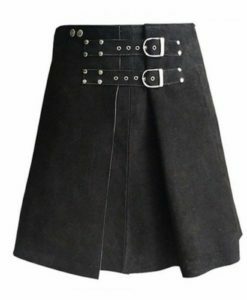 It has leather straps on the side for fastening and more comfortable grip. 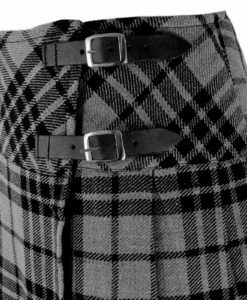 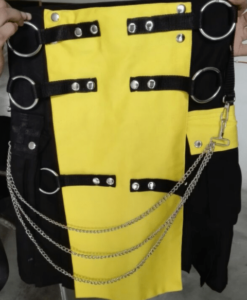 It also comes up with standard size belt holders. 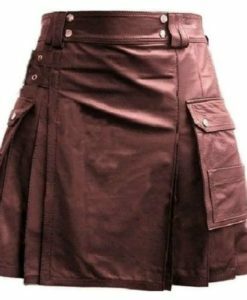 Moreover, there are two side pockets as well. 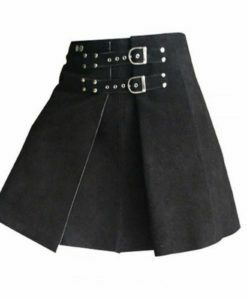 It is made up of 100% Cotton. 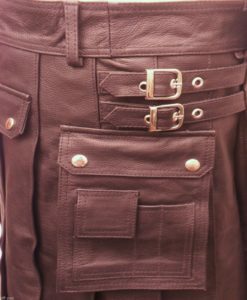 Two side pockets on either side. 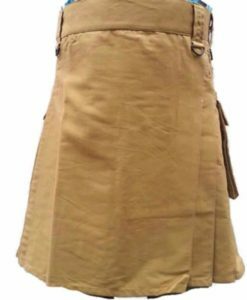 Leather stripe on the side.